There, everything is made of banknotes. 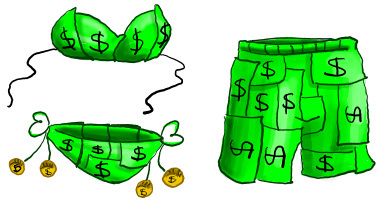 The bikinis are made of banknotes. 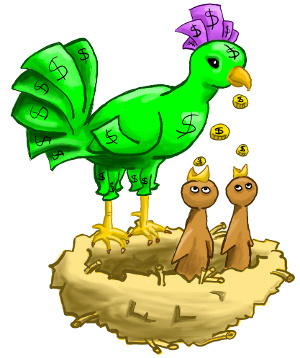 The birdies feed their children with cent coins. 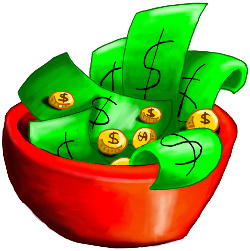 You can eat tasty and fresh banknote salads. 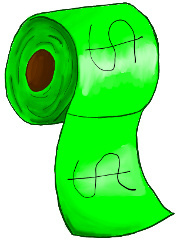 And even the toilet paper is made of soft bank notes. That's a good question and we are going to answer it. It all depends on a complex subterranean system of tubes. The tubes connect banks to the Tax Haven. The money pills up under a volcano on the center of the island. Monday Eruption of 1 Pentecent coins. Tuesday Eruption of 10 Pentecent coins. Wednesday Eruption of 1 Penteuro coins. Thursday Eruption of 2 Penteuros coins. A bit more profitable, but watch out for your head. The coins are heavy and it can seriously hurt you. Friday Eruption of 100 Penteuros Notes. Saturday Super eruption of 500 Penteuros Notes! Sunday No eruption. Resting time. Investigate closely to see if your bank has one these tubes installed. If it has, then you'd better watch out. 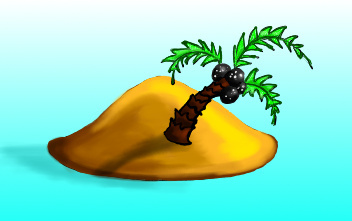 you can travel to the Tax Haven. Click here.